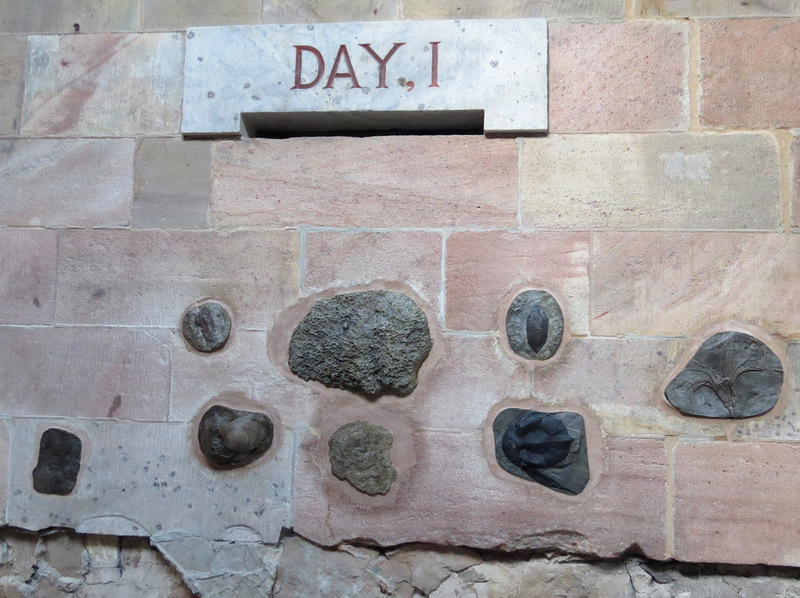 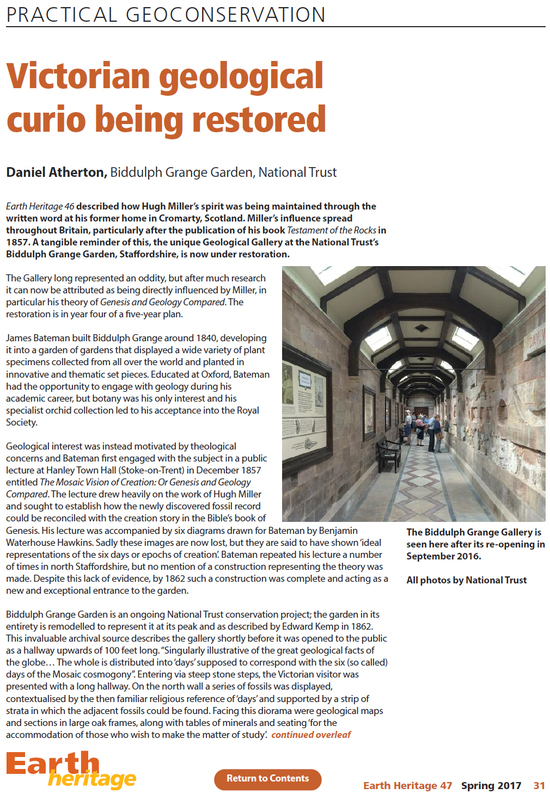 Restoration of the Victorian geology gallery at Biddulph Grange (National Trust property). 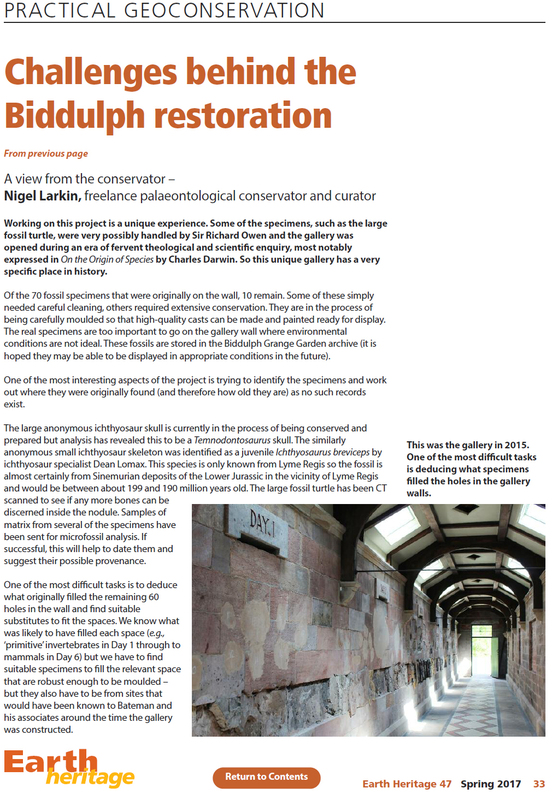 Restoration of the Victorian geology gallery at Biddulph Grange (National Trust property) near Stoke-on-Trent, Staffordshire, England. 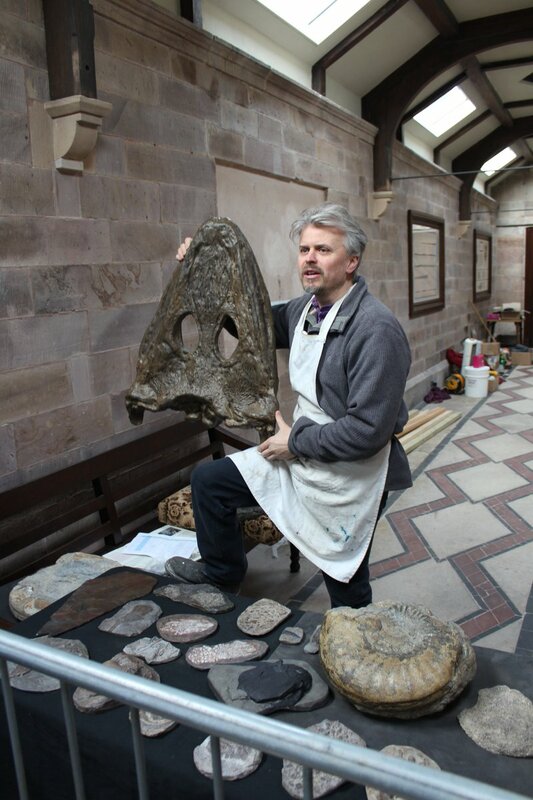 Nigel Larkin, 2015 - 2018. 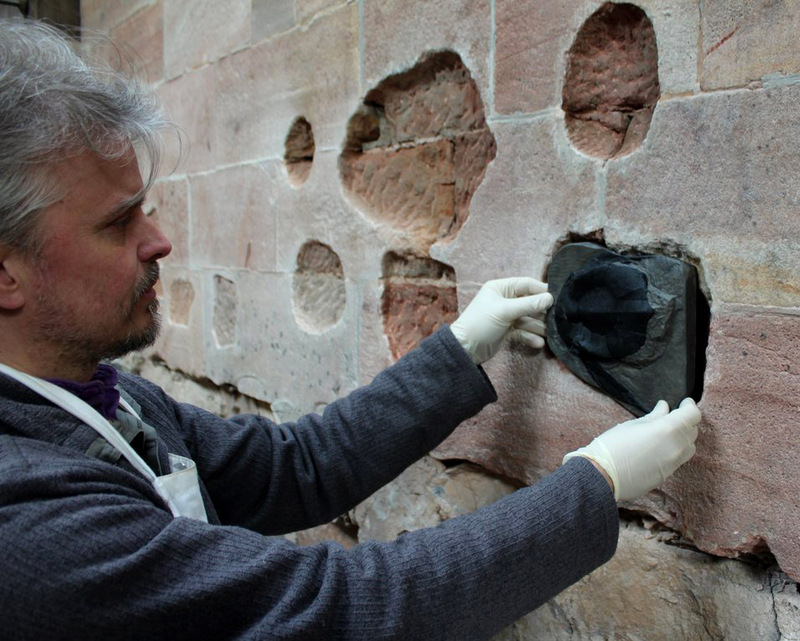 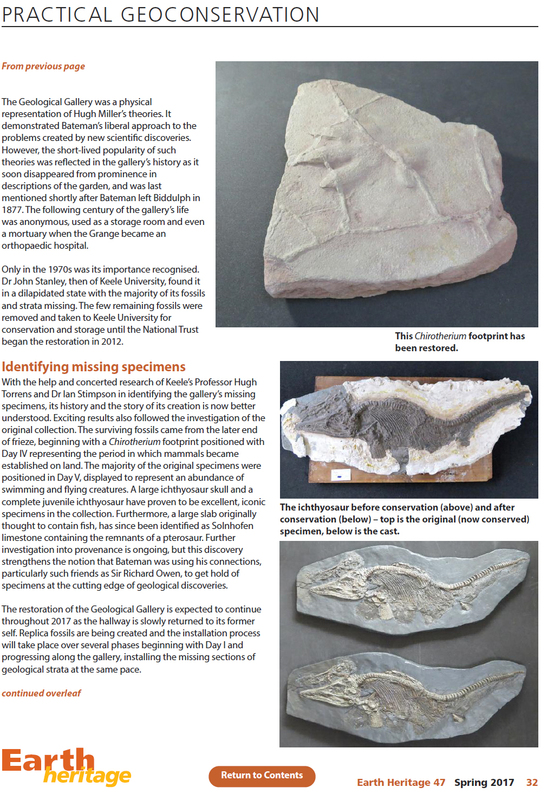 Below are a couple of short articles explaining the restoration project, recently published in Earth Heritage Magazine (volume 47). 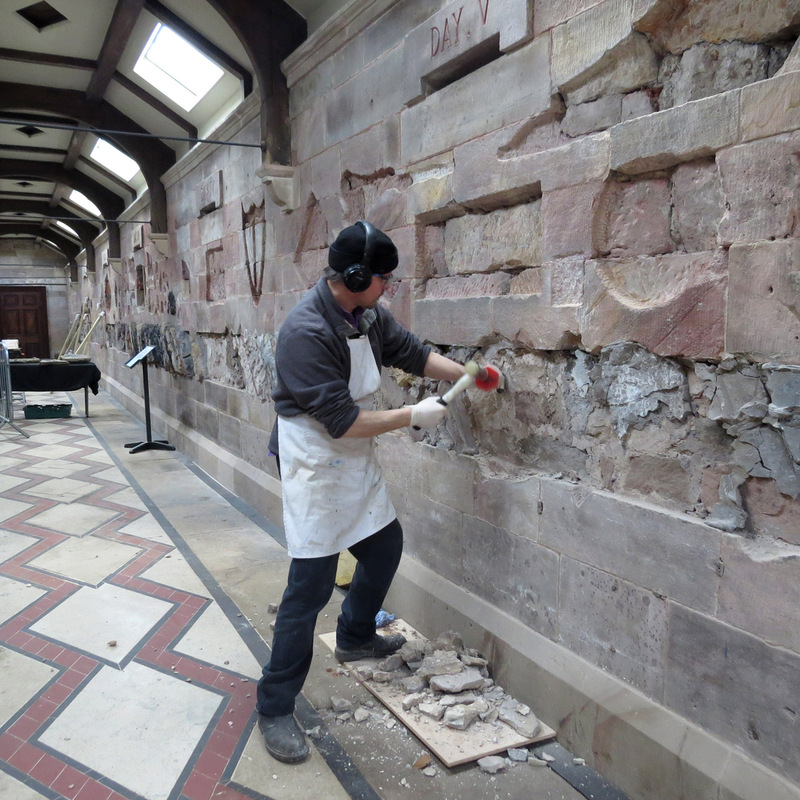 Beneath these are some photos and five short videos showing some of the work currently being undertaken as part of the restoration. 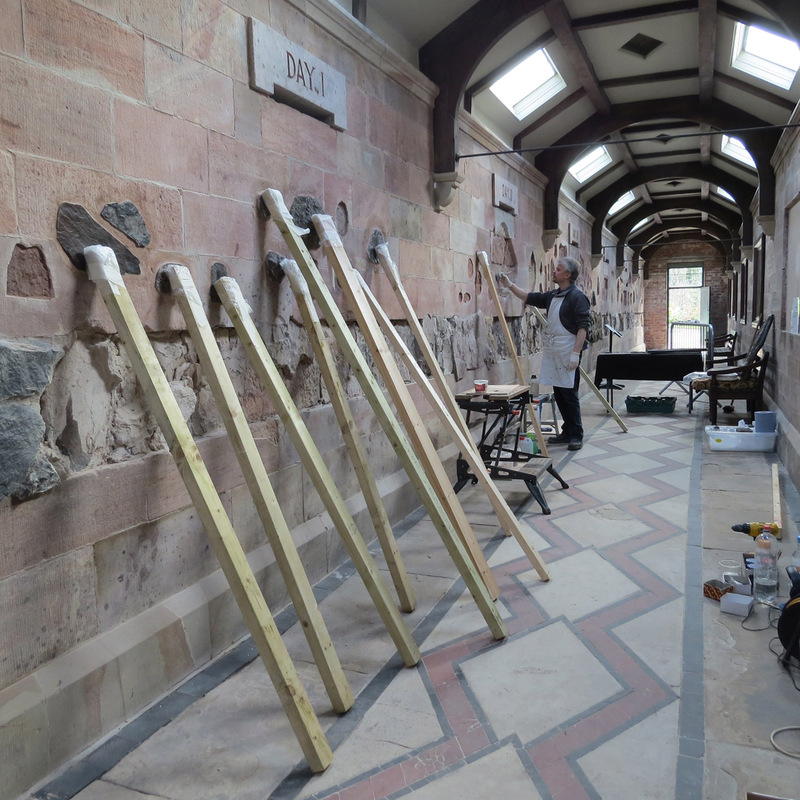 The restoration of the gallery will be completed by the end of 2018.